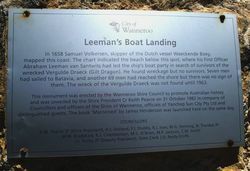 A monument commemorates the place where Leeman came ashore with his men searching for survivors of the ship Vergulde Draeck and was erected to promote Australian history. The Dutch East India Company (VOC) ship, Vergulde Draeck foundered in 1656, to the north of Two Rocks. Only 75 crew reached shore with a few provisions. Seven of the crew sailed to Batavia (Jakarta) for assistance, leaving sixty-eight survivors stranded on a barren shore. 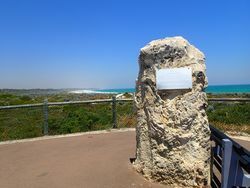 Over the next few years, every VOC ship passing the Western Australian coast was ordered to search for signs of the castaways. 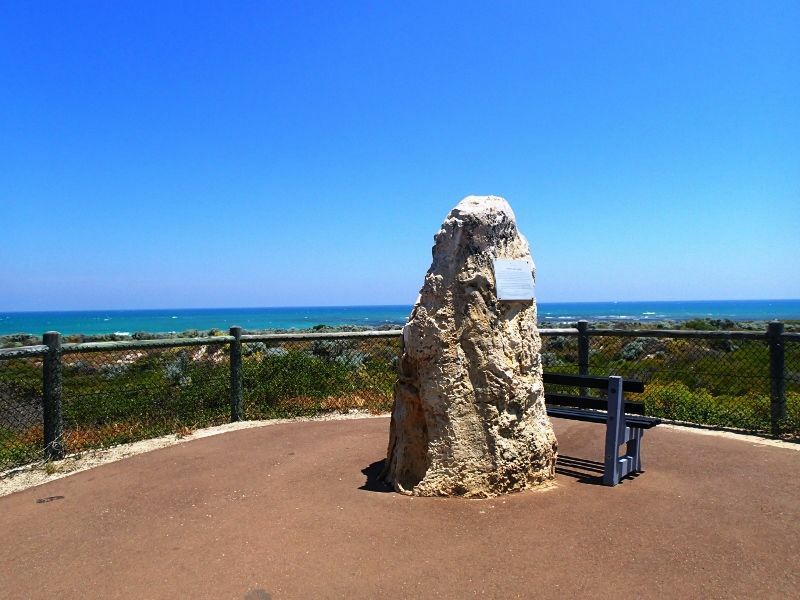 In March 1658, Abraham Leeman van Santwits, first officer and navigator of the Waeckende Boey and thirteen sailors came ashore in the vicinity of Wanneroo Beach where they found wreckage from the Vergulde Draeck but no sign of survivors. Unable to return to their ship because of foul weather, and abandoned by Samuel Volkersen, the skipper of the Waeckende Boey, Leeman set sail for Batavia in an overloaded open boat. He and three sailors survived the epic journey, arriving there on 23 September. In 1658 Samuel Volkersen, skipper of the Dutch vessel Waeckende Boey, mapped this coast. The chart indicated the beach below this spot, where his First Officer Abraham Leeman van Santwits had led the ship`s boat party in search of survivors of the wrecked Vergulde Draeck (Gilt Dragon). He found wreckage but no survivors. Seven men had sailed to Batavia, and another 69 men had reached the shore but there was no sign of them. The wreck of the Vergulde Draeck was not found until 1963. 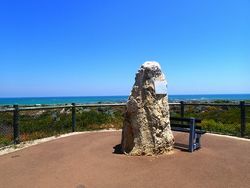 This monument was erected by the Wanneroo Shire Council to promote Australian history and was unveiled by the Shire President Cr Keith Pearce on 31 October 1982 in company of Councillors and officers of the Shire of Wanneroo, officials of Yanchep Sun City Pty Ltd and distinguished guests. The book `Marooned` by James Henderson was launched here on the same day.